Today’s Beantown Baseball Birthday Celebrant is a throwback to the days when big league shortstops couldn’t hit and weren’t expected to hit. I could never figure out why guys who played this position got a free pass offensively for so long. I guess it was Cal Ripken who changed the perception of what an All Star shortstop should be able to do and guys like A-Rod, Nomar Garciaparra and Derek Jeter then came along and made sure that the days of good glove, lousy hitting shortstops were a thing of the past. John Kennedy was one of those dinosaurs. In fact, the only reason fans like me paid any attention to him when he made his big league debut with the Senators in 1962 was that he had the same name as another guy who had also started a new job in our Nation’s Capital the year before. In fact the infielder and President John Kennedy also shared the same birthday. 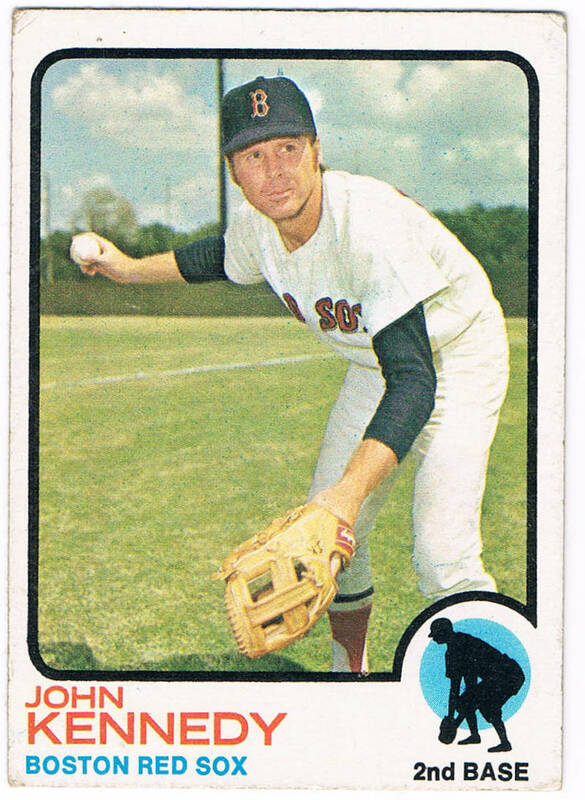 After getting traded to the Dodgers and Yankees and then sold to the Seattle Pilots, the Red Sox became Kennedy’s fifth and final big league team in 1970. He turned out to be a very reliable utility infielder for manager Eddie Kasko’s Boston ball clubs of the early seventies and actually became a better hitter once he got to Beantown, averaging .243 during his five seasons as a Red Sox as compared to only .225 during his full 12-year big league career. The Fenway faithful appreciated the way “Super Sub” hustled every second he was on the field and apparently so did the Boston front office. When Kennedy retired as a player, he was given a job by the organization as a minor league manager. Even pretty avid long-time Red Sox fans might have difficulty remembering today’s Beantown Baseball Birthday Celebrant. Mike Brumley was the son of a big league catcher, who followed his Dad into the big leagues and spent parts of eight seasons in the Majors as a pretty obscure utility infielder for six different teams. One of those teams was the Red Sox. In fact, Boston had originally drafted Brumley in the second round of the 1983 amateur draft only to trade him and pitcher Dennis Eckersley to the Cubs the following May in the deal that brought Bill Buchner to the Red Sox. Brumley ended up making his big league debut with the Cubs in 1987. He then returned to the minors for a year, spent the 89 season with the Tigers and the following year with Seattle. The Red Sox then signed him as a free agent in January of 1991 and he spent the following season as manager Joe Morgan’s primary utility infielder, appearing in 63 games. A switch-hitter who couldn’t find a good big league stroke from either side of the plate, Brumley averaged just .212 that year and only .206 for his entire career. 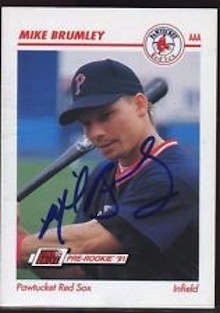 His last year in the big leagues was 1994 and then he got into coaching and managing in the minor league systems of both the Diamondbacks and Rangers. He became the Seattle Mariners third base coach in 2010 and in 2014, was named the hitting coach of the Chicago Cubs. It does sort of make you wonder how a guy who had trouble staying above the .200 mark with his own bat can help others better use theirs.